I hesitated writing this post because I worry that readers will say “duh Ros, can’t believe you didn’t know this!” But I felt that way before I wrote this post about zippers, and it has become one of my most popular and most pinned posts, so I figure I’ll help someone! 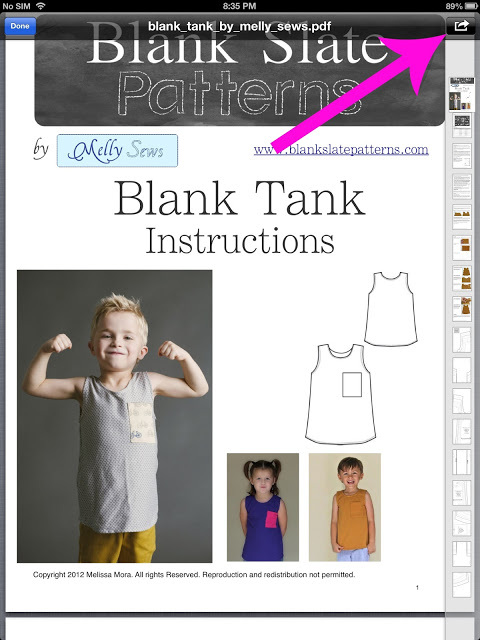 Like many of you, the majority of patterns I use for my sewing projects are by independent designers who sell their patterns as downloadable PDF files. Which is great BUT there is a lot of printing and paper wastage. So full credit for this tutorial goes to Amy because she taught me how to do this. 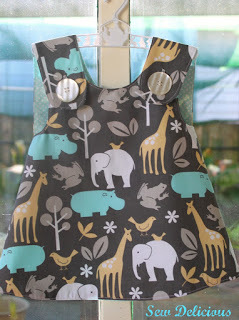 It has been a game changer – it is so handy to have the pattern sitting right next to me when I sew without having to mess around with lots of paper. So basically, you save your PDFs into the iBooks app and you can use them like an ebook. Then the only printing you need to do is your pattern pieces. 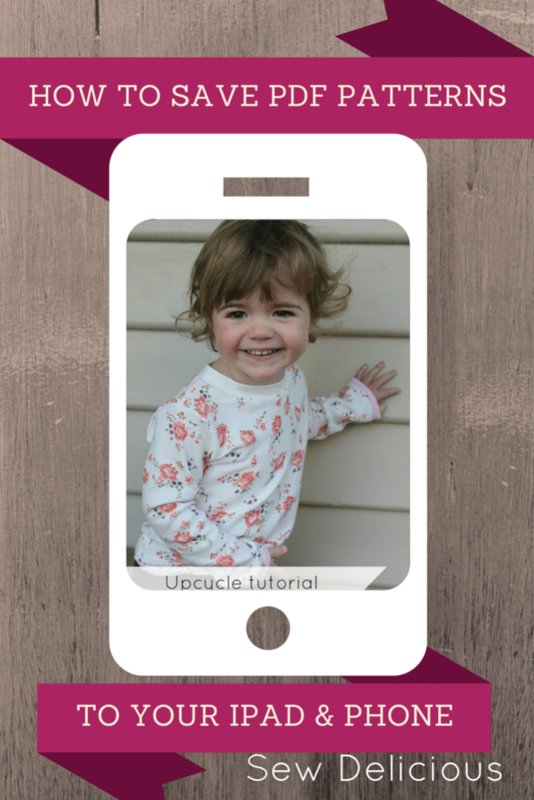 You can also use this very same tutorial to save your patterns into your iPhone. 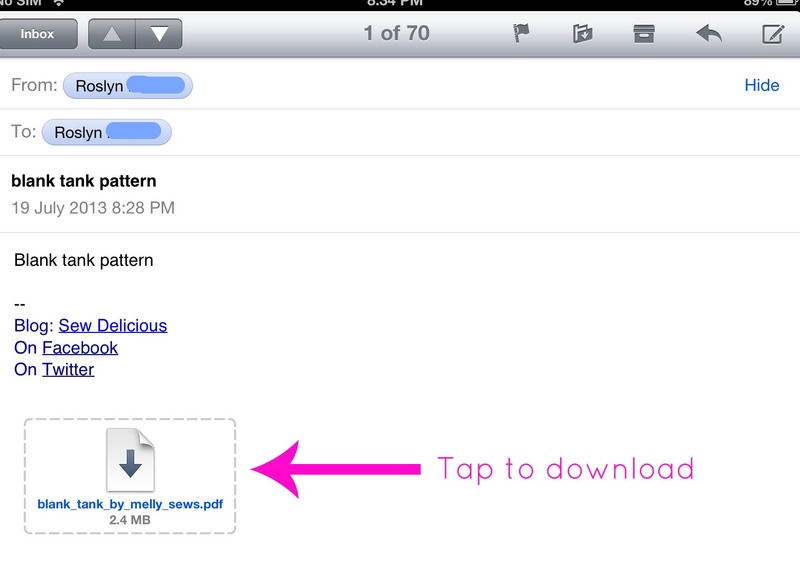 First, you need to get your saved PDFs to your iPad. I just attached them to an email and sent them to myself. Open the email and tap the symbol and your file will begin to download. 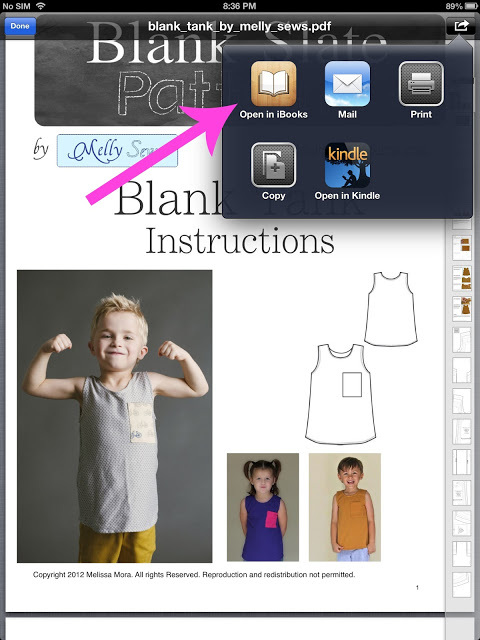 Once it’s downloaded, tap the PDF symbol and this will open your pattern. 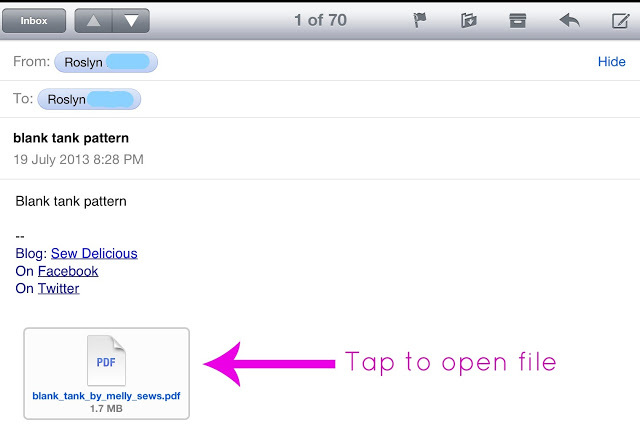 Once your PDF is open, go to the top right hand corner and tap the share arrow. so I choose ‘Open in iBooks’. And that’s it! Once you’ve opened your pattern in iBooks it will automatically save it in there so you can go back to it anytime. 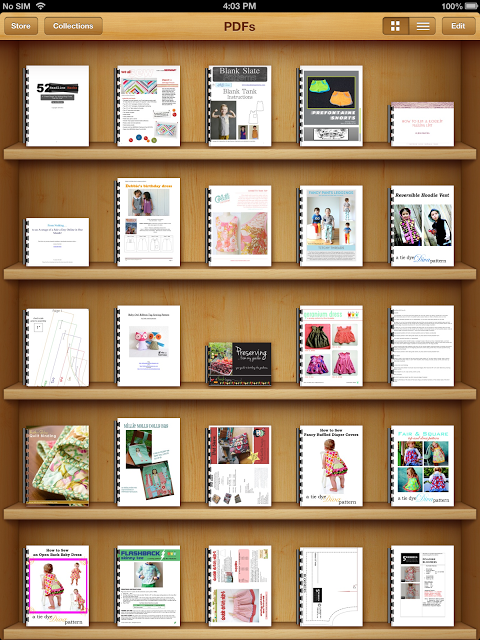 Save them all in there, and you will have a lovely bookshelf full of patterns. This will work for any type of PDF file. 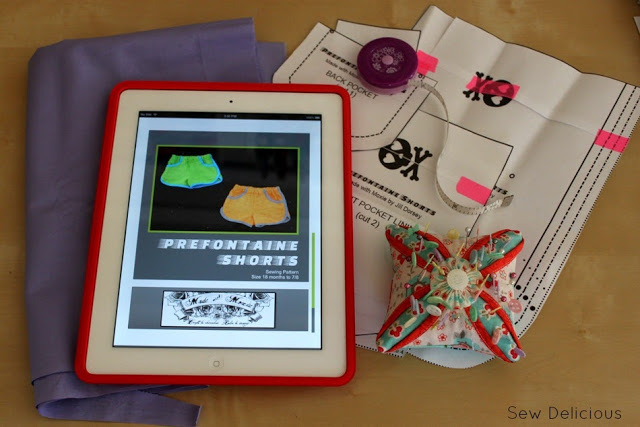 Using your iPad you can flip easily between pages in the pattern and have it sitting next to you in your sewing space for easy referral. Saving the pattern to your phone is also very handy when you go fabric shopping – you can refer to the pattern so you know exactly how much fabric yardage and which notions you need. Apologies to Android users, this tutorial is for iDevices only but I’m sure there is a way for you to do this on your tablets and phones that is very similar. Easy, convenient and uses a lot less paper! 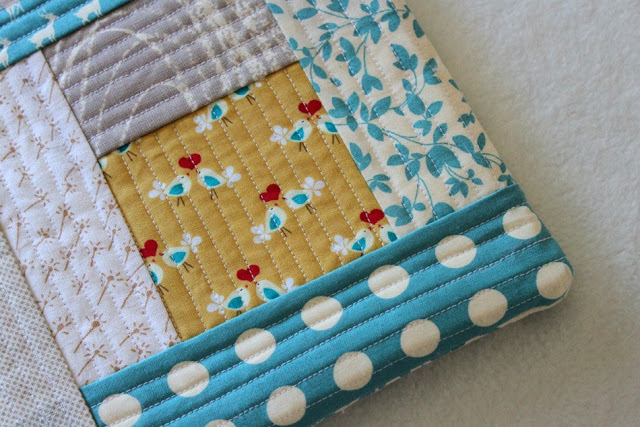 Do you save patterns this way too? Never would have thought of that. Ever! I have them all on my MacBook, but it's a hot mess to dig through them. I see a new project for me and my iPad this week. Thank you!!! Haha, I was just wondering the other day how I could do this to my iPhone! Never got around to trying anything, but now I know! Thanks!! Man, I feel silly never doing this either. I have non apple devices I'll have to give this a try! I really dislike pdf patterns because of the extreme waste of paper and ink. I avoid them like the plague. I will have to give this a try. Is there a way to save them to icloud so you don't use all your free space on the ipad? Not sure about the iCloud Pam – I'll try and find out for you! So clever! I never realised you could do this until you showed me. I save them on the Kindle on my IPad. this works for me. Yep Kindle app works great too! 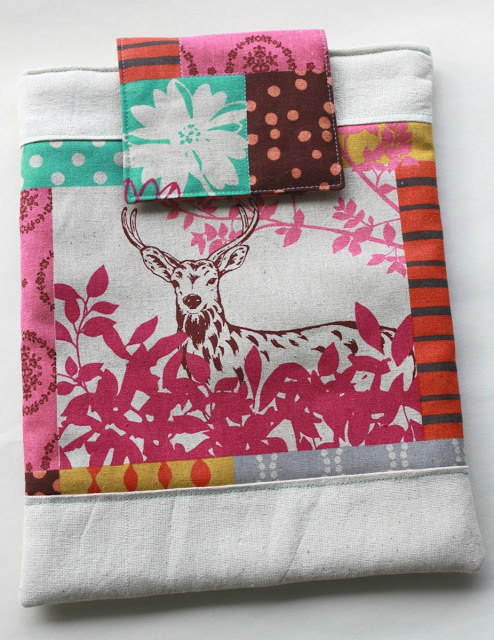 That is pretty genius, I always have my laptop on my sewing desk but it takes up way too much precious room! Thanks Alisa! I used to do that too so I was thrilled when I discovered this method! Never thought of putting them on the iPad, Ros. Now to transfer them all over. Thanks for posting!!! THANK YOU FOR THIS! I never thought of that! Thanks for sharing this tidbit! I use Google Drive to save all my pdf patterns – there is an app on the iPhone for it and I can access them from my Kindle or any computer – you can also share things with other people through Drive. It's super helpful because I always have them on hand but they're on the mysterious 'cloud' so they don't take up space on my device. An option for Android users or IOS users alike. Muchisimas gracias por esta explicación! I consider myself computer savvy, but this I did not know. Thanks for the tute, like the saying goes, "you can learn something new everyday." Never even thought to do this!! Thank you so much for sharing the how-to. I know what I'll be doing over the next few days! I save all my patterns to Dropbox, so it syncs with all devices. I do like how these are displayed with the images, so you can see which pattern is which though! Yes I love dropbox as well! I also save a lot of PDFs and photos to my Google Drive. 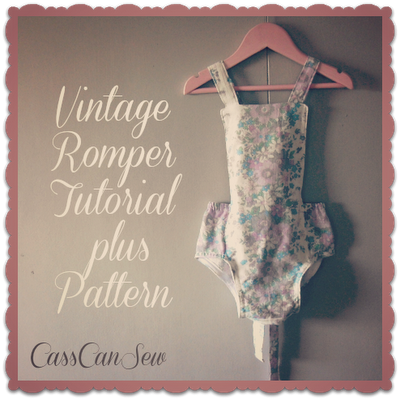 I’m just starting to do dressmaking again after many years and have never bought a pdf pattern – do I need a computer? Can I order straight to my iPad or iPhone? Then use a copy company to print?